These look great up close, MUCH better then the Q7s I think, good size too, little weird shaped, but pulls it off nicely. If I were to get an Suv type of car, this would be my choice(Money aside) If this were like 12k(Dreaming) it would sell like The Rock! @ Anoni: Faster than an RS5?! Holy Crap! I said that I will like to see. If we will see or not, is not up to me. but anyway, 3 years ago, audi tested A5 with 2.5tfsi engine and tunet to 300HP+lightweight chassis, and tey said that is faster than RS5. Anoni-so we can see 5cyl longtiduale in the future great:):)Are you sure? @hans, I'm sure that a4b9 will have an entry level tdi of around 120HP. bmw 3 series have it and that why audi needs to have it. the problem is if it will be 1.6tdi or a detuned 2.0tdi. also, 3.0tdi 300HP couldn't be achived with only one turbo, so 3.0tdi 2 turbo is a normal choise. also, is not logic to use a detuned version of 300HP when today they have a 313hp version. normaly this engine will have an upgrade in 1-2 years. for 3.0tdi 2 turbos set up, A4b9 should have at least 320hp. regarding the RS choise, bmw will go 6 cilinders for M. IMO 6 cilinders for the RS4 is normal and 5 cilinders for S4. 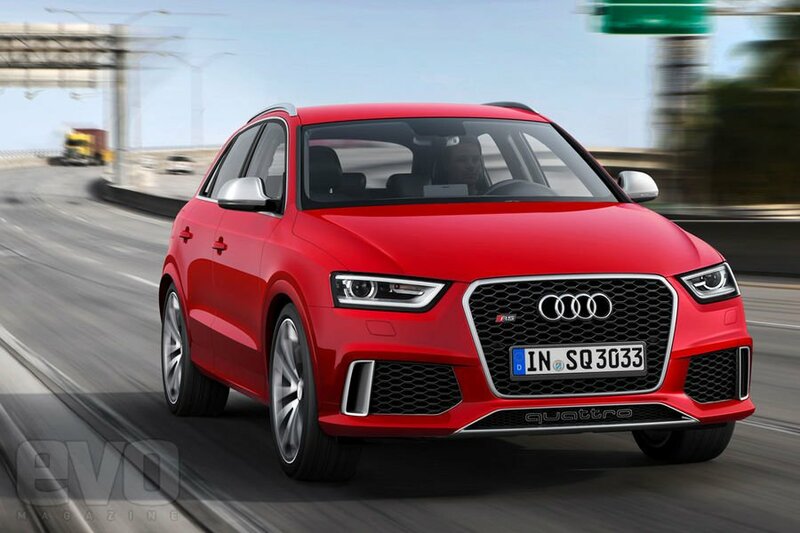 IMO S4 with 2.5 tfsi with 340-360HP and a light weight chassis will be a killer. @anoni Why not? Your engine setup seems to very realistic. Maybe your setup is overpowered because B9 going to have power in ranger 148 hp- 345 hp for petrol engines and 148 hp- 300 hp for diesel engines. And B9 generation will be much lighter than B8. but, will never be like this. fore sure audi will offer a regular A4/A5 with V6 petrol engine like is this days the 3.0tfsi with 272hp. and I dont't think that audi is capable of having a 2.0tdi twin turbo, even is they see that the competition has a 4 banger diesel 2 turbos since 4-5 years ago. When Audi put this engine to A4,A5??????? @ Mental: That would have been awesome. But I also would love to see it more RS-inspired. Why just didn't they that Inline-5 from the TT RS? @ BR2': Looks like a compact SUV. Like a Volkswagen Tiguan or Toyota Rav 4. Sooo, Wtf is this? An Suv? Crossover? PT Cruiser thing? This is "RS" model? almost 1800kg and 300HP? SQ3 is already faster than this. People, if you add a car, please, add the curb weight, that's important. 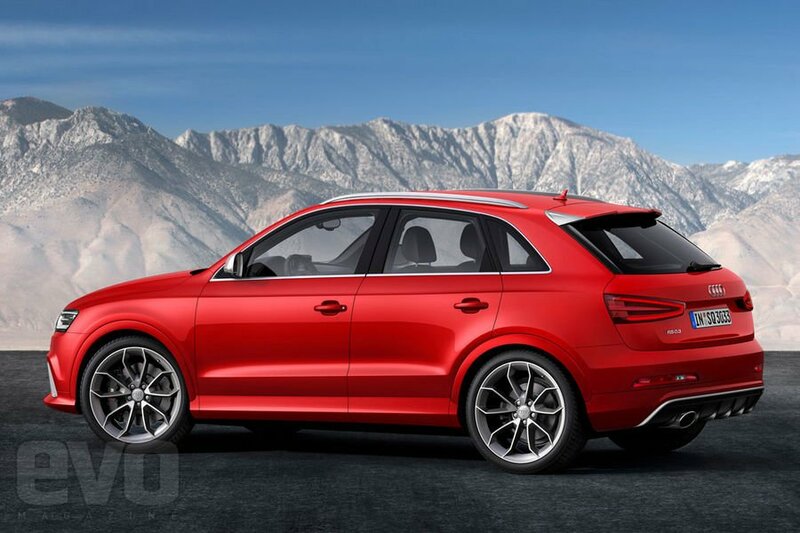 So the new sports crossover from Audi. Overall, good one. But I'd wish it produced 360 PS, like TT RS produces. But paying for this crossover €54,600 is really not serious..